We love a good deal almost as much as we love sport, meeting people, and being active. PlayCity offers perks! 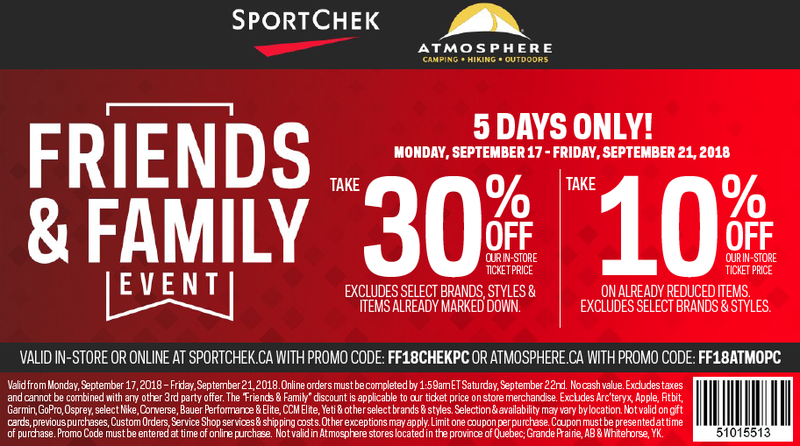 Check out this offer from their friends at SportChek! The discount runs from Sept. 17 to 21st 2018. Order online or show the coupon in stores. Use the following codes when checking out to redeem your discount.